KISORO – The US Embassy in Uganda has launched a new plan that will benefit to over 116,000 vulnerable households in eight districts in Uganda. This was revealed in a statement released Thursday by the embassy. The activity dubbed the ‘Integrated Community Agriculture and Nutrition, is funded by the United States Agency for International Development USAID. The activity aims at strengthening household and community resilience to recover quickly from stresses bought by the impact of extreme weather and unexpected health issues. 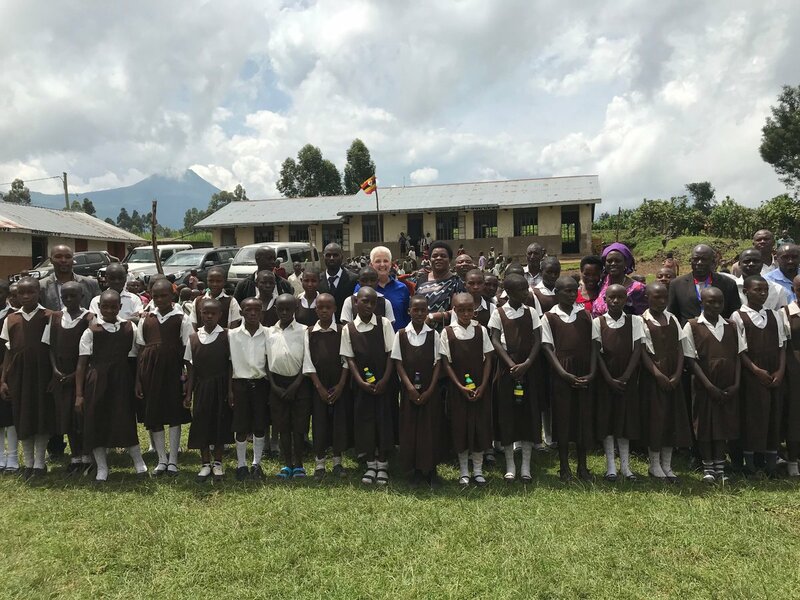 At the launch of the five-year activity at Gatabo Primary School in Kisoro on Ms. Deborah Malac, the US envoy to Uganda said she had discussed education issues with teachers and students. “We are excited to begin this partnership with your local and district level representatives and to follow your leadership on this agenda,” the ambassador said. She also planted a tree to symbolize the community’s investment in growth and resilience. The launch was also presided over by Minister of State for Gender and Culture, Peace Mutuzo, Kisoro Woman Member of Parliament, Rose Kabangyenyi, and the Kisoro district leadership.